When John learned his father was considering selling his 1970 Porsche 911 to a prospective buyer, something had to be done. John stepped in and ended up heavily modifying the 911 he watched his father race as a kid. Nothing like passing a special car down from father to son. What started out as a 1970 Porsche 911T has become something pretty different, both in style and substance. When we say style, we mean its interior has been completely gutted. There are no door panels and it all looks fairly Spartan. That’s part of its charm. But the 911 John inherited wasn’t road worthy, so he did a functional restoration. 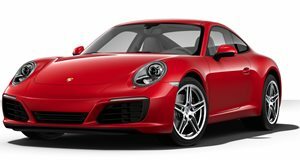 Now powered by a lightly used 3.2-liter flat-six, which produces 220 hp at the wheels, and featuring European Racing headers, Phase 9 mufflers, and plenty of suspension upgrades, some Porsche 911 purists may not like the final result. We love it. This thing is now an insanely awesome canyon carver. And it’s surprisingly comfortable, considering that bare bones interior. This is one of those cars you’re relieved to discover is also equipped with five-point harnesses. We’ll see why not long after you begin watching this latest One Take with Matt Farah. The exterior also hasn’t gone untouched, as it’s been fitted with a fiberglass body kit that includes a new hood, bumpers, fenders and that wicked whale tale. This reborn and redefined 1970 911 definitely isn’t for everyone. It’s rough around the edges, but that doesn’t make it unrewarding.